5. Speaking of Hulu Plus’s content — it’s pretty darn anemic at the moment. Like, vampire’s blood anemic. On a computer you might not notice just how limited it is, because Hulu Plus content gets mixed in with all the free/regular Hulu content (i.e. the last five episodes of most shows on most networks). On the PS3, though, you only get access to a fraction of what the website has. Because Hulu Plus is a paid subscription service and basic Hulu isn’t, Hulu can’t just repurpose all their current content for it. They have to draw up all new contracts with studios, and it could take some time for those deals to get done. Fox, ABC, and NBC are well-represented (though far from complete), but CBS and all of cable are noticeably absent. Well, unless you’re a big fan of older cable stuff like USA’s Silk Stalkings and Weird Science TV series. You know, from before cable was good. 6. It’s buggy. 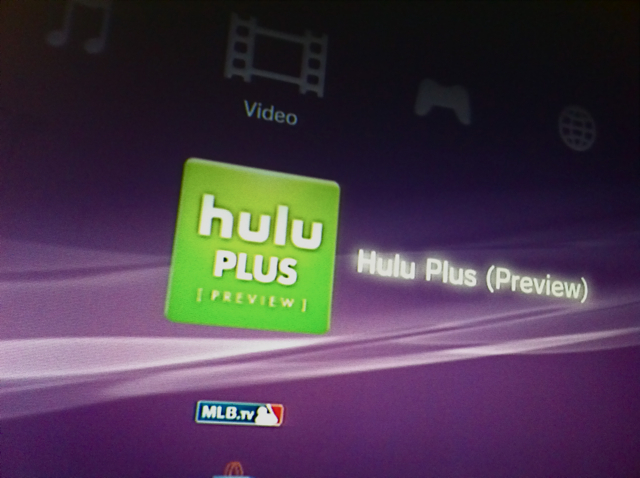 The Hulu Plus app for the PS3 doesn’t “manage the pipeline” all that well. If you have a cable modem, you pretty much need to pay for the max download speed to guarantee it’ll work when you want it to. The app simply doesn’t do a very good job adjusting the content to fit the connection speed. The web site does a much better job. Shows that load fine via the web page continually freeze up on the PS3. There are other bugs, too: watching Journeyman, for example, the entire series is presented in the wrong aspect ratio, and there’s no way to fix it. 7. New shows aren’t being added fast enough. In fact, in my nearly two weeks of using it, I haven’t noticed any new shows added in that time span, save for some of ABC’s summer lineup. 8. If you use a PS3-compatible universal remote or Sony’s own Blu-ray/DVD remote — it won’t work well with the Hulu Plus app. Standard buttons for playing, rewinding, etc. just don’t work as you’d expect them to, if at all. This is something Hulu has to fix — people who use their PS3 as the hub of their home entertainment set-up like to use remotes, not game controllers. 9. HBO’s late night series from the 90s, Dream On, is presented in an edited-for-broadcast-tv format, whereas Showtime’s 90s late night entry, The Red Shoe Diaries, is presented as it aired on the pay cabler. This is either a warning for those of you with kids, or a let down for those of you without. In other words, if you want a box to hook up to your TV that offers live sports, news, DVR service, movies on demand, and every current TV show, your best bet right now is still… a cable box. ps – My experiment is far from over though, I’m definitely going to keep trying new things.